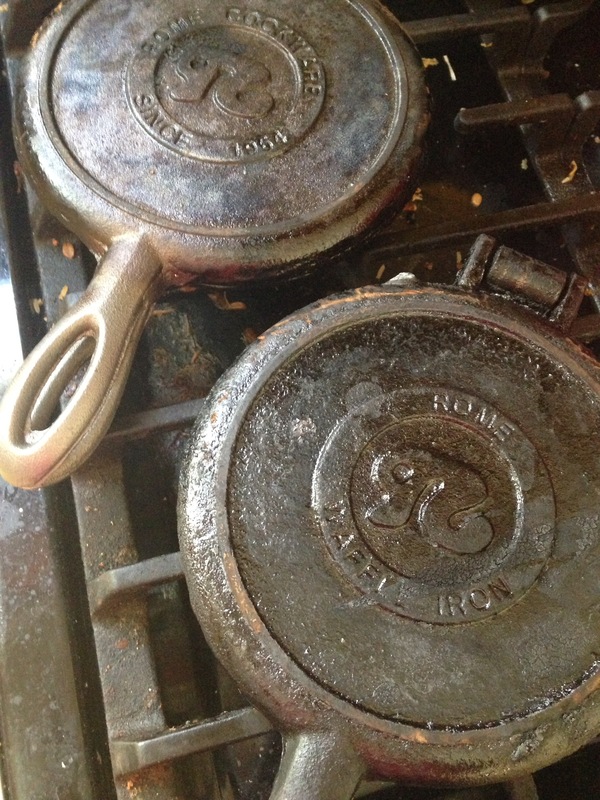 Waffles for my hungry kid this morning are brought to you by my favorite cast iron waffle maker. 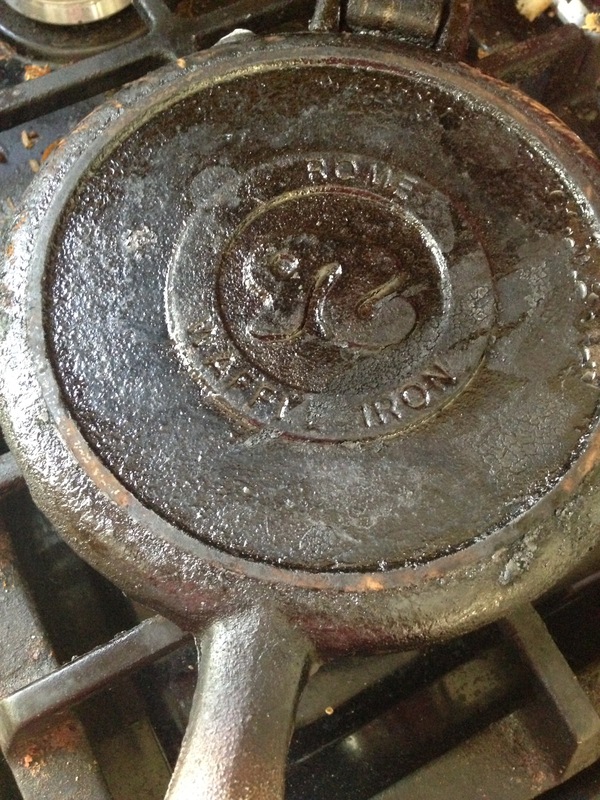 See my post on Cast Iron Waffles for the many reasons why I love them. But what I’m loving most lately is that I have two of them. My mom gave me another one for my birthday. 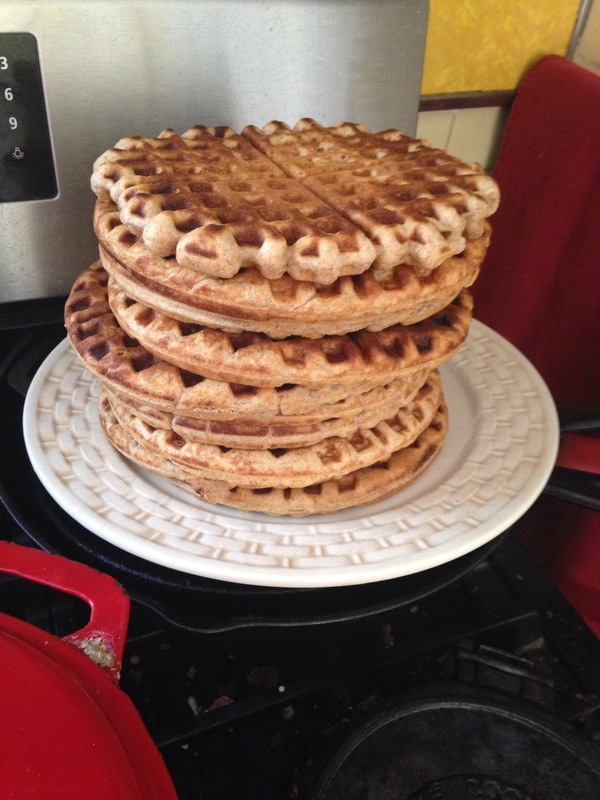 Two waffle irons for this family of six makes up a weeks worth of waffles in no time which is good for me. The other good thing is that because these are much less bulky than their electric counterparts, they both slide right in beside my pans and take up hardly any cabinet space at all. Who wants waffles now? This entry was posted in Kitchen, Products. Bookmark the permalink.